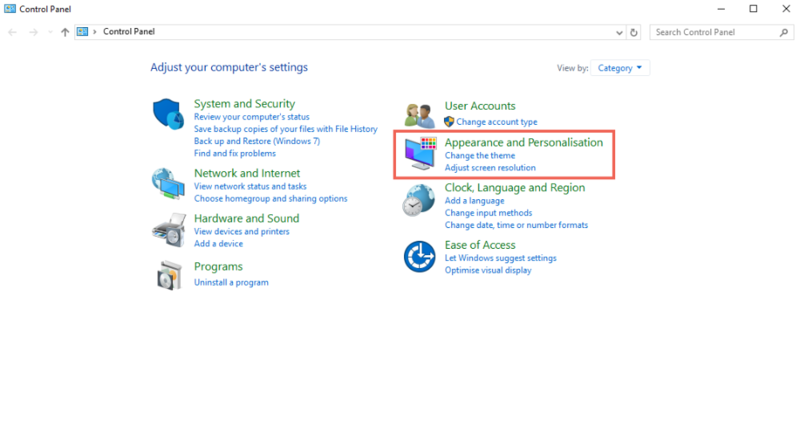 Open Control Panel and choose Appearance and Personalization. 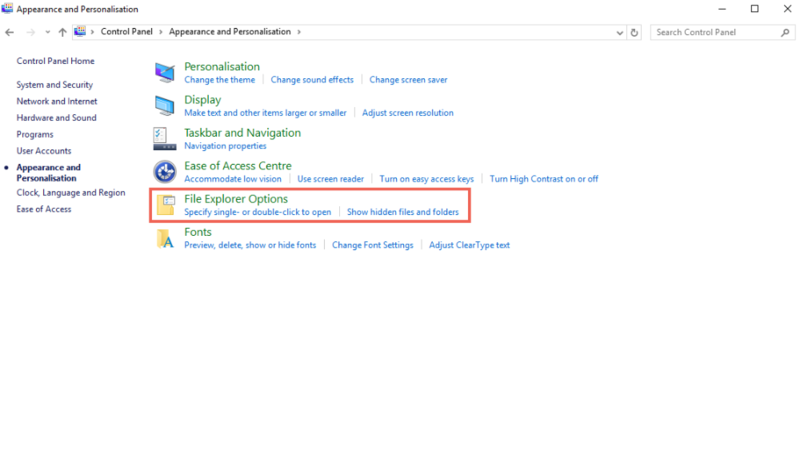 Select File Explorer Options (Folder Options). 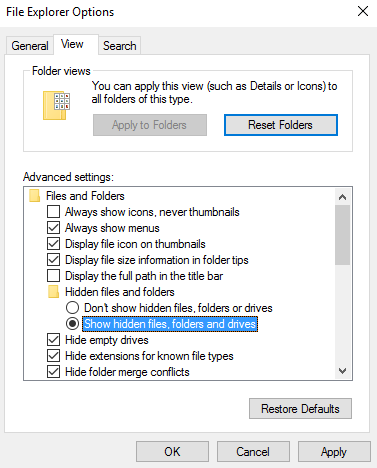 Click the View tab at the top, and under Advanced settings, select Show hidden files and folders. Click Apply at the bottom to save your selection. 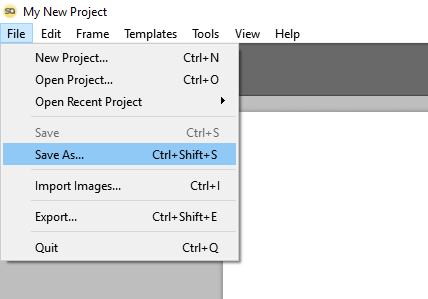 Use the search field in the top right corner to look for the project name in the Backup folder. In the example below we will enter "My New Project" as the name of the project we are looking for.